The earth signs (Taurus, Virgo, and Capricorn) do best in careers that offer security and the possibility to advance through hard work and talent rather than flashy showmanship. They work effectively either on their own or with other people, and they do not require much supervision to get the job done. Most get along well with coworkers and supervisors unless severely provoked. Tauruses usually do well in any of the established trades. Jobs where they can make things with their hands are favored, as well as careers involving money and valuable objects. Another Taurus area of strength is agriculture—anything to do with growing things. Tauruses may also be drawn to the building trades because they like things that are tangible and enduring. Artistic fields, particularly those that involve tactile work such as sculpture, are also associated with the sign of Taurus. In addition, because they tend to have a variety of practical talents, some Tauruses become educators of young children, which provides opportunities to delve into many different subjects. 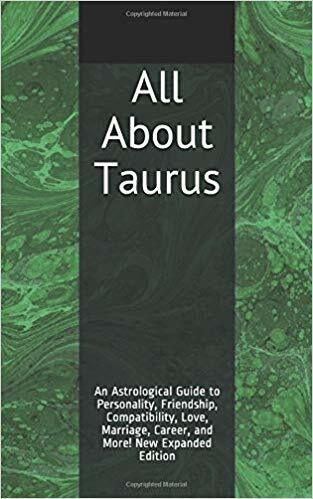 For more on Taurus, see Taurus Personality Profile, Taurus Love and Friendship Style, Famous Tauruses, and Taurus Marriage and Compatibility. For a full list of astrology articles, see the main Astrology page.